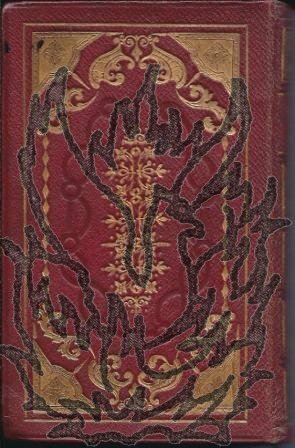 [ De Quincey; Carlyle ] Autograph Letter Signed "Thomas De Quincey" to "Madam" , "Mrs Carlyle, 21 Comley Bank" [Jane Carlyle ] about an invitation declined and a book loaned to him by Thomas Carlyle. Three pages, 12mo, bifolium, some foxing and a repair not obscuring text which is clear and complete. He begins that, f he were free to follow his own wishes, he would consider her invitation a "command" but he wasn't "entirely at liberty to follow my own wishes; which, until Wednesday next unfortunately I am not. [...] My engagements at this moment are not engagements of pleasure or choice, but entirely of business; [...] On Wednesday however I shall be quite at liberty, and shall pay my respoets to you in the morning of that day. | I beg my best thanks to Mr.
[George Dyer, poet and English Jacobin, writes to the Earl of Buchan following a visit to his seat, Dryburgh Abbey, Berwickshire.] Substantial Autograph Letter Signed ('G Dyer'), discussing the preparation of his volume of poems and other topics. Cambridge. Undated, but written shortly before the publication of his poems in 1801. 3pp., 4to. Bifolium. In good condition, lightly aged, with thin stub from mount neatly adhering. A long, closely written letter of 116 lines, including eight-line postscript at head of first page. Addressed by Dyer on reverse of second leaf: 'To Lord Buchan | Dryburgh Abbey | Berwickshire | Scotland.' Buchan has annotated the reverse of the second leaf: 'George Dyer | Characteristic | while I reasoned with George Dyer in my Library at Dryburgh Abbey on the Economy of Nature and the Providence of God, I said Heaven itself will one day bear witness to my Words. [ Robert Southey, Poet Laureate and friend of Wordsworth and Coleridge. ] Autograph Note Signed to the author Andrew Picken agreeing to subscribe 'willingly' to his 'volumes' ('The Black Watch'?). 1p., 12mo. Bifolium. In good condition, lightly aged. 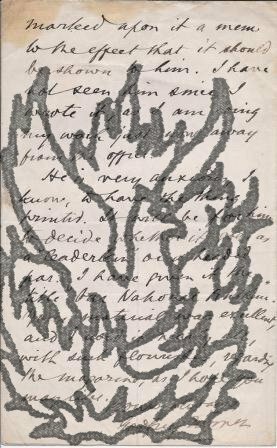 Addressed by Southey on the reverse of the second leaf, which has been overlaid top and bottom with grey paper, 'To | Andrew Picken Esqre | Gothic Cottage | Regents Park East.' The note reads: 'Keswick. 13 March 1833 [year possibly altered in pencil to '1835'] | Sir | I subscribe willingly to your volumes & wish you success with them | I remain Sir | Yr obedt servt | Robert Southey'. Southey is presumably referring to his last work, The Black Watch (1833), which appeared just as he died of a stroke. Suitable for framing. [ George Huntly Gordon. ] Autograph Letter Signed to 'D. Meran' of the Globe newspaper, offering him a revierw of '2 little books on the German Spas'. 'Stationery Office | Pimlico'. 4 August [ no year, on paper watermarked 1841 ]. 3pp., 12mo. Bifolium. In fair conditon, lightly aged and worn. He asks him 'to give insertion, among your literary notices, in the Globe, to the enclosed account of 2 little books on the German Spas, which I have just concocted. The author is a friend of mine, but I assure you, on my honour, I have not said one word more in praise of his Treatises than they deserve. To convince you of this I will send you the one on the “Homburg Spas” if you have time to read it – and you may give it to any friend going to Germany. [ The Le Fleming family of Rydal Hall. ] 16 manuscript items from the family papers of Barbara Le Fleming Benson (sister of Sir Daniel Fleming), including material relating to a disputed will, miscellaneous correspondence and genealogical memoranda. Carlisle; Kendal; Crosthwaite; New Mills, near Stockport; Douglas, Isle of Man; St Bees Grammar School, Cumbria. Between 1813 and 1874. The Le Flemings of Rydal Hall were a leading Cumbrian family, notable as the landlords of the poet William Wordsworth. The present collection of 15 items derive from the family papers of Barbara Le Fleming, eldest child of Roger and Ann Fleming, and sister of Sir Daniel le Fleming (c.1785-1821), 5th Baronet, who married John Benson (1780-1830) in 1809. On letterhead of the 'University of St Andrew. N.B. [Scotland]'. 2 January 1892. 2pp., 12mo. In fair condition, on aged and lightly-worn paper. Written in a difficult hand. The letter begins: 'My dear Campbell. | You will find all I know about Axiologus, and Miss Maria Williams, in a prefatory note Vol I of my Edition of W[illiam]. W[ordsworth].s Poems (not Life).' He confirms that the poem is by Wordsworth, and expresses regret at 'letting it be known: for it led Tutin [John Ramsden Tutin (1855-1913)] of Hull to go & print the sonnet for private circulation some years ago. [John Watkins, LLD, writer.] Autograph Letter Signed ('J Watkins'), offering to do his best regarding a review of 'Coleridge's Memoirs' [i.e. the 'Biographia Literaria'], but stating that he would 'as soon write the History of the Devil'. 1p., 12mo. In fair condition, on creased and aged paper, with one edge adhering to a mount from an album. The letter reads: 'Dear Sir | The Two Volumes of Coleridge's Memoirs were returned with the Life of Wordsworth. If they are send [sic] by to morrow any time - I will do my best - tho' to say the truth I would as soon write the History of the Devil. Inter nos. | Yrs truly | J Watkins | Monday Evg'. Docketted on reverse 'J. Watkins'. The letter may relate to a proposed review in the 'Monthly Review'. As his entry in the Oxford DNB states, surprisingly little is known about Watkins. Typescript titled 'William Wordsworth. | his Books.' Divided into 19 'lots'. 8pp., on eight leaves of foolscap 8vo, with a ninth leaf carrying the title (headed 'Library' in manuscript). Fair, on aged and creased paper. The first page carries four entries, all beginning in 'A', from W. P. Alison's 'Remarks on the Poor Laws etc of Scotland, 1844' to a total of 54 volumes of the Annual Register. The four items are attributed the lot numbers 1, 3, 2 and 4 in manuscript. The second page carries seven items beginning with 'B' (ending with 'Border Laws 1705. '), with the first and second given lot numbers in manuscript. 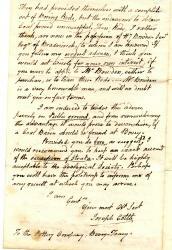 Autograph Letter Signed from Godfrey Turner to [Edward] Walford, concerning the publication in the Daily Telegraph of an article on 'Our National Anthem'. 12mo, 2 pp. 34 lines. Text clear and complete. Fair, on lightly-aged paper. He received Walford's manuscript and 'did free my spirit, as I promised I would, without loss of time'. The matter is now in the hands of the printer of the Daily Telegraph, who, 'at the time of going to press, is master of of the situation, and often delays, from night to night, giving a place to our best-loved paragraphs.' Turner marked his copy with 'a mem to the effect' that it should be shown to 'Mr. Arnold'. 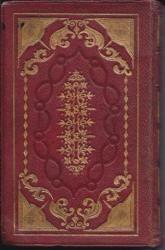 xvi.208pp., 16mo, one foxed plate, very attractive red leather, gilt decorated binding, corners bumped, 2 or 3 small spot, aeg. Conclusion of Preface, "The Editor would take this opportunity of acknowledging the kindness of those of his poet-friends who have furnished him with pieces hitherto unpublished; and forming not the least attractive feature of the present selection. | Bedford | Feb.19th, 1842". Poets include Wordsworth, LEL, Felicia Hemans, etc, etc.ViaLibri site ascribes the one copy (but published by T.
Autograph Letter Signed ('W. W. Fisher') from Admiral Sir William Wordsworth Fisher to 'My Dear Chief'. 4 June [no year]. Place not stated. 4to, 2 pp. Fourteen lines. Text clear and complete. Begins 'With my wretched attainments as a cricketer & golfer how otherwise can I do credit to my revered Chief and his band of brothers than by trying to keep my wicket up in this job?' Discusses 'those Jokers [members of a club?] whom HM has still to honour': 'we all consider that to be a Joker at all is quite enough for any man'. Autograph Signature ('Chr: Wordsworth') on fragment of letter to his 'dear Brother' [either Richard, John or William Wordsworth]. 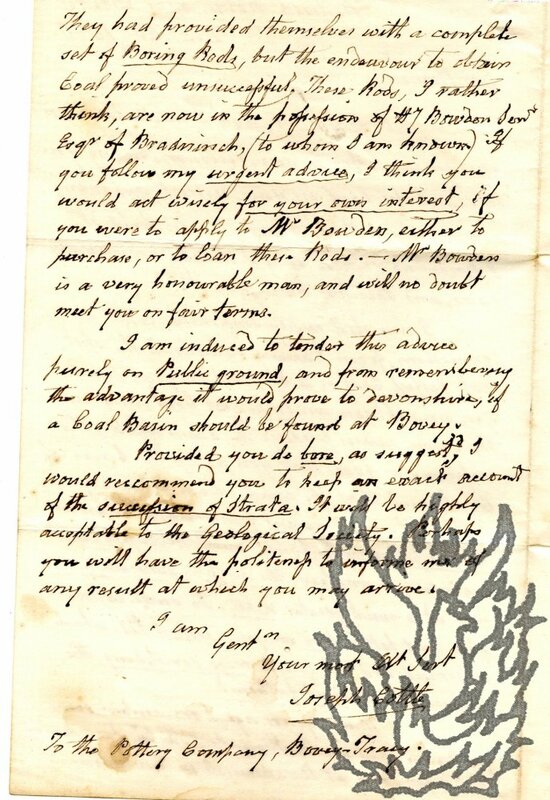 Autograph Letter Signed ('Godfrey Turner') from Turner to [Charles Henry] Ross (1842?-1897). 15 December 1880; on letterhead of the Daily Telegraph. Three pages, 12mo. On aged paper, with some foxing, a few closed tears and wear to extremities. Glue and strip of mount adhering to blank verso of second leaf of bifolium. Text clear and entire. He is in 'a maelstrom of work and worry' and asks Ross 'a question which you are almost certain not to be able to answer!' Asks if he has 'seen Tom Smith's crackers', and if so, whether he observed 'anything specially and eminently notable'. Five Autograph Letters Signed ('Godfrey Turner') to [Edward] Draper. 1865-1887; various locations (see below). All five items good, on lightly aged paper. All five bifoliums, bearing traces of previous grey paper mount on the verso of the second leaf. 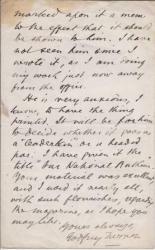 LETTER ONE (one page, 12mo, 30 May 1865): He is 'very poorly', with a 'bad bilious attack which has threatened to turn into jaundice'. 'Yesterday I met Mr Herbert in Regent Street. We talked for a few minutes at cross purposes, my thoughts running on his journalistic prospects and projects, while he was thinking and speaking about his election at the Savage Club. Christopher Wordsworth, Bishop of Lincoln, when Archdeacon of Westminster. Wordsworth (1807-85) was made Archdeacon of Westminster in 1865 and Bishop of Lincoln four years later. 1 page, approximately 3 inches square. In good condition. Neat tight handwriting. 'With Archdeacon Wordsworth's compts. requesting a receipt for 5 - 13 - 0. | enclosed'.